2017 PSE Evolve 31 Compound Bow 60# RH camo Archery Supplies Australia's largest and Best Archery Equipment warehouse. 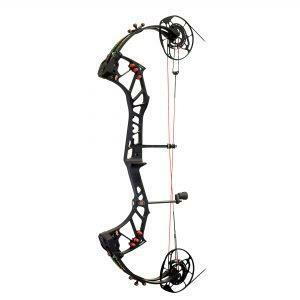 IBO 346 fps, Axle to Axle 31", Draw length 24.5-30", mass weight 4.3lbs. The Evolved is the latest for 2017 from PSE featuring 90-80% letoff. Please Select 24.5" 25" 25.5" 26" 26.5" 27" 27.5" 28" 28.5" 29" 29.5" 30"
Evolve your hunt with the 2017 PSE Evolve Compound Bow is Engineered from the ground up to be the most comfortable hunting bow we’ve ever made, we started with our amazing new EVOLVE® Cam System (ECS), which gives this hunting bow an unbelievable 90% let-off and the smoothest shot on the market.